It’s helps all of us to know where we’re going and how we and God plan to get there. Kingdom is all about co-laboring with Christ to do what the Father is doing. There is plenty of room for initiative and creativity that is fueled by understanding where we are going and why? Equipped in church – When we first get saved, we end up in a fellowship of other believers we call church. It’s an incubation of life and healing where we are equipped by apostles, prophets, evangelists, pastors, and teachers (5-fold). When we ask Jesus into our hearts and allow Him to be Lord of our lives it translates to something. We learn that surrender is really freedom, serving is really leading and spiritual gifts empower us to do much more than we can in our own strength – It’s an amazing ride! In fact, the experience of being carried by the wind of the Spirit is so much fun that we naturally want to camp out at this stage. There is a big pull to be a full-time minister and throw ourselves into the vision of the church and spend our lives in prayer, worship and preaching. However, it’s just a beginning. We can’t make a goal out of the tools, but we can take them with us. For example, the purpose of the education mountain is bigger than creating more teachers. We’re in training for reigning. “What” is kings – The real goal of equipping is graduation from that which is another man’s into a grasp of our own calling or book (Ps 139:16). We are moving from servant to friend and we know something about the Father’s business and we’re not afraid to ask “whatever” (Jn 15:15-17). We see that God wrote His desires into our own hearts and we’re giving ourselves permission to pursue them. 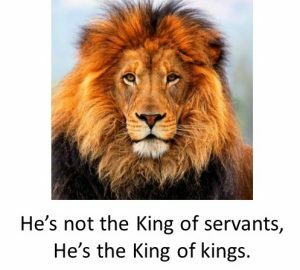 Jesus isn’t the King of servants, He’s the King of kings. It’s at this stage that we connect the dots between our destiny, our vocation, our ministry and our finances. We have a vision for our mountain and an ability to create wealth via our work or a business. Now our network or team includes people with a similar heart’s desire and we’re pooling ideas, energy, and effort into something that is synergistic with what the Father is doing. We’re part of something much bigger than ourselves, i.e., Kingdom. The big “Why” is nations – Our Father has always had a heart for the nations. Between the fall, the flood and that whole tower of Babel thing, the nations strayed and for a season God invested himself in one nation (Israel) whom he later divorced because they strayed too. His plan of redemption started with Jesus and He’s restoring His people, His Kingdom “and” His nations. There are some other geographical entities over God’s turf that need to be replaced … that’s part of our job. We’re not here to just to sit in church, nor just to save souls and wait for heaven, we’re here to establish His Kingdom and reclaim the nations. Psalm 2 sounds like a promise for Jesus. But, when Jesus quotes that verse in Revelation 2, He gives that promise to us! It’s our job to liberate nations, e.g., from the spirit over them that causes the corruption, the terror, the tyranny and the poverty. We’re not waiting for heaven to do it. The Kingdom is here, the invitation is for now and the offer is for all of us and all nations. Jesus gave us a clear commission for nations … now. It’s an invitation to a battle, because the kingdom is not yet entirely present (Heb 2:8), and I am not yet entirely perfect, yet we’re pressing on to take hold of that for which Christ Jesus took hold of me (Phil 3:12-14). 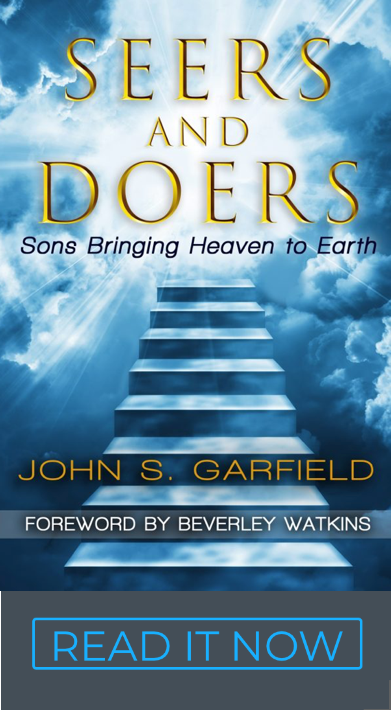 It’s our job as sons to co-labor with our Father to bring it … into the here and now. Kings – who can lead practical initiatives, create wealth, manage cash flow, and make a difference in every mountain to bless cultures around the world. Stand a bit taller because we are the glorious riches of His inheritance in the saints (Eph 1:18). God has chosen to do all this through us. It’s an hour to volunteer for your own destiny, not for our sake or our glory, but for the nations and the people under the oppression of the wrong kingdom. We’re setting captives free and having a party doing it. We’re more than conquerors – way more. Personal story – As I’m writing this to emphasize “nations,” I’m thinking back over the last year of sharing this with people in different countries and states. It’s something God is saying around the world through many others as well. There is a trumpet sound of Kingdom. It’s easy to see progress in politics and business. And there is a huge anointing on the message and huge open doors in the practice. Like people, businesses, cities and nations have a book or a call. When we prophetically speak out loud what is written in the heart of a nation, people are drawn to it and blessed by it. It overlaps with something God wrote in their heart as well. Whether a person or a nation, when we touch our purpose / book we feel special – chosen, called and loved by our Father. It’s powerful!